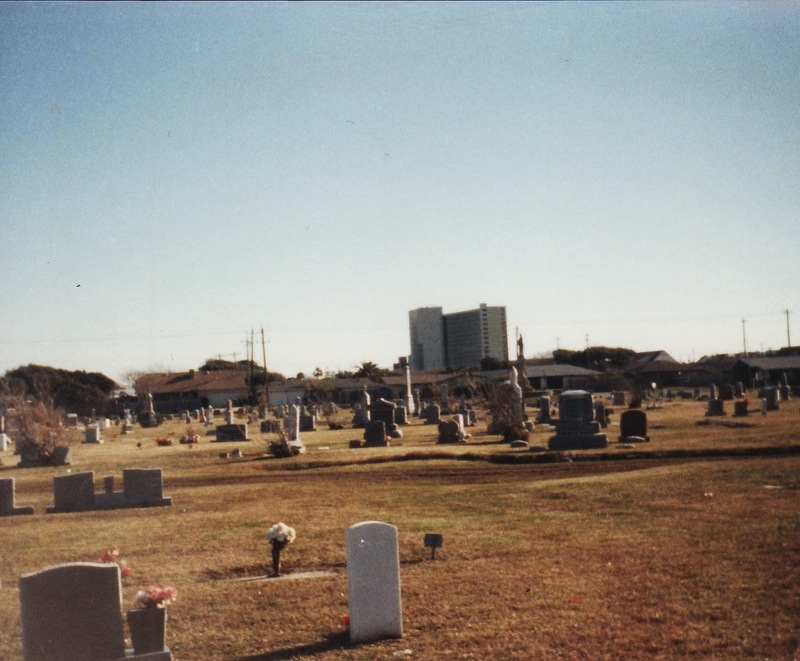 After arriving home from Japan, I dug through collections of old photographs and came across these images from a family trip Galveston, Texas. Sometimes it comes up in conversation. 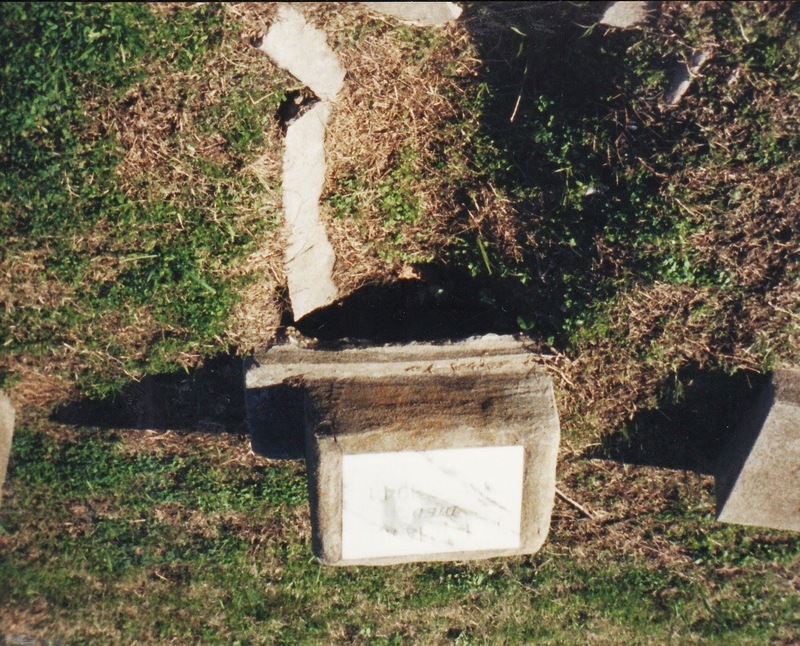 My weird hobby of photographing cemeteries. How did I acquire such an unusual interest? 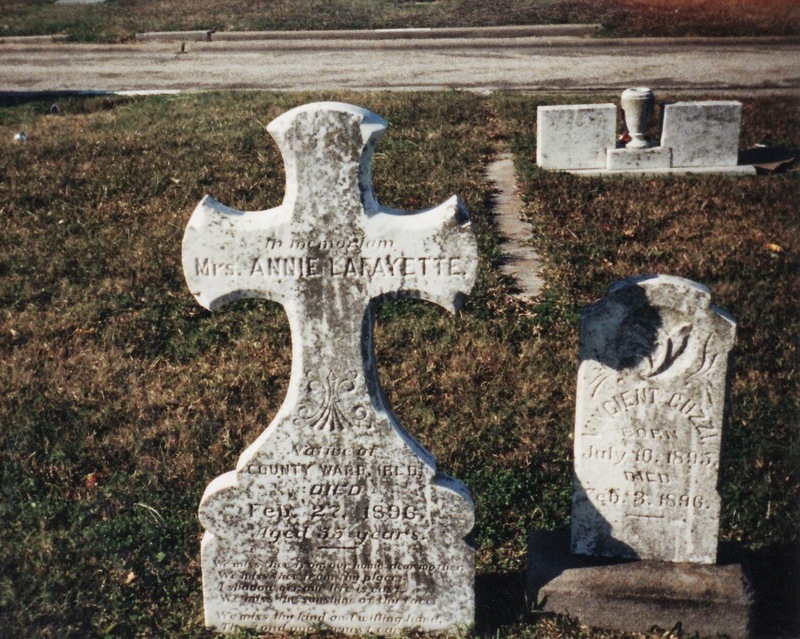 What experience lead me to travel the world in search of curious graves? It was no accident, in fact. It was one of the most memorable experiences in my life. I was ten years old, on vacation with my family in Galveston, Texas, a narrow island in the Gulf of Mexico just an hour’s drive from Houston. As a beach town it is likely to disappoint, but I’ve always been fascinated by this town and its strange history. Once the wealthiest place in America, Galveston was struck by a hurricane in 1900 which wiped out the practically wiped out the population. To this day, it is still the deadliest natural disaster in U.S. history. 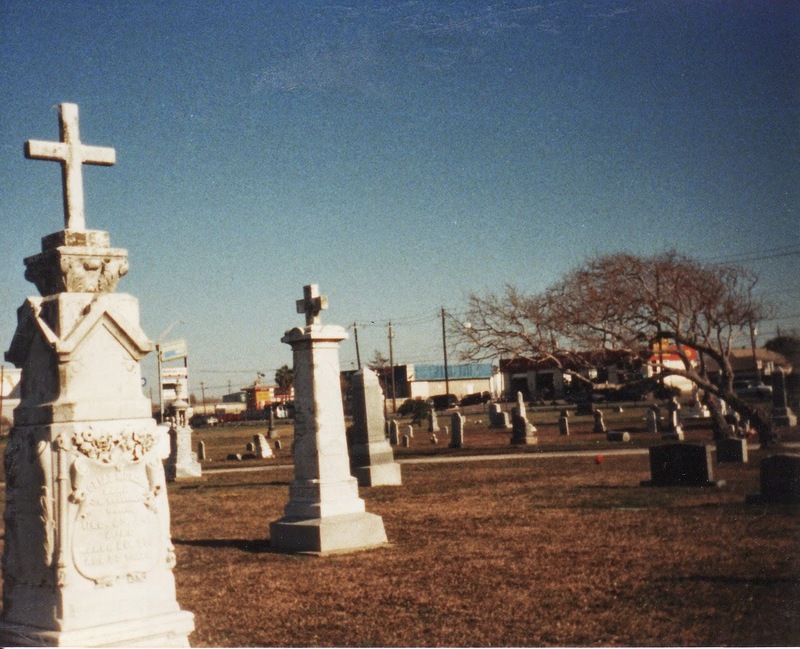 I grew up listening to macabre stores of the 1900 Hurricane. How the nuns at an orphanage tied the children to each other with rope so that they would not be washed away, and the next day their bodies were found in the rubble, still tied to each other. 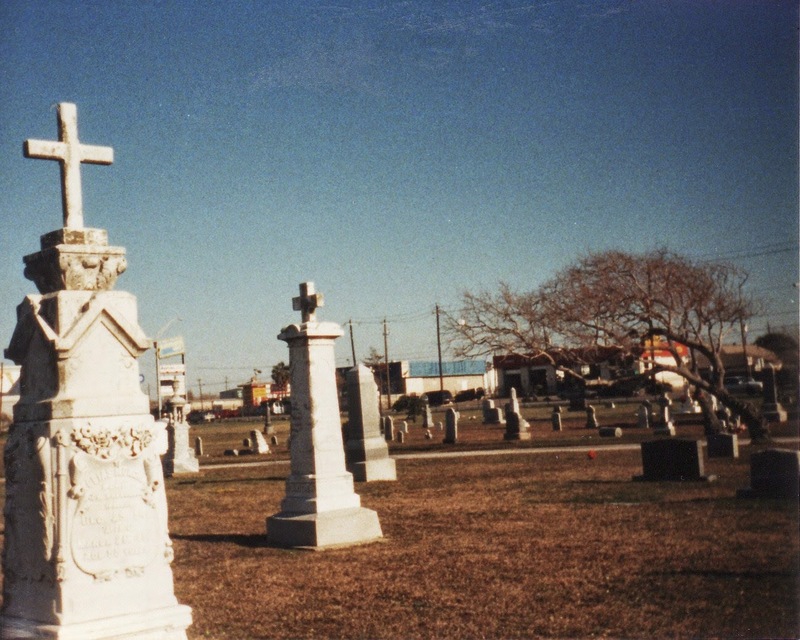 These stories fascinated me as a child, so that I looked forward to going to Galveston every year, not for the beaches or the pier, but for the crumbling (and restored) Victorian mansions and other decaying relics from the past. 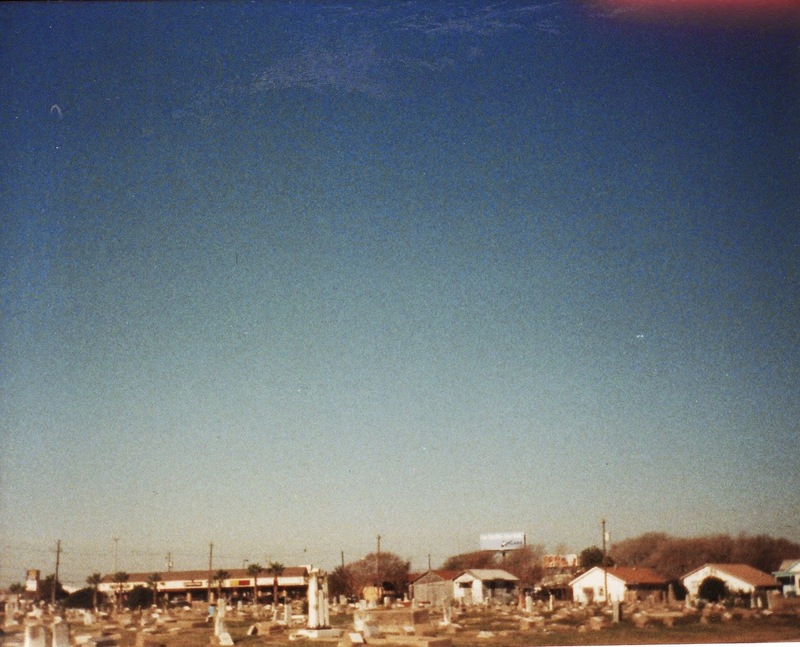 On one such trip I was riding in the car with my family, when I spotted a cemetery on the side of the road. I asked that we stop there so I could take a look. 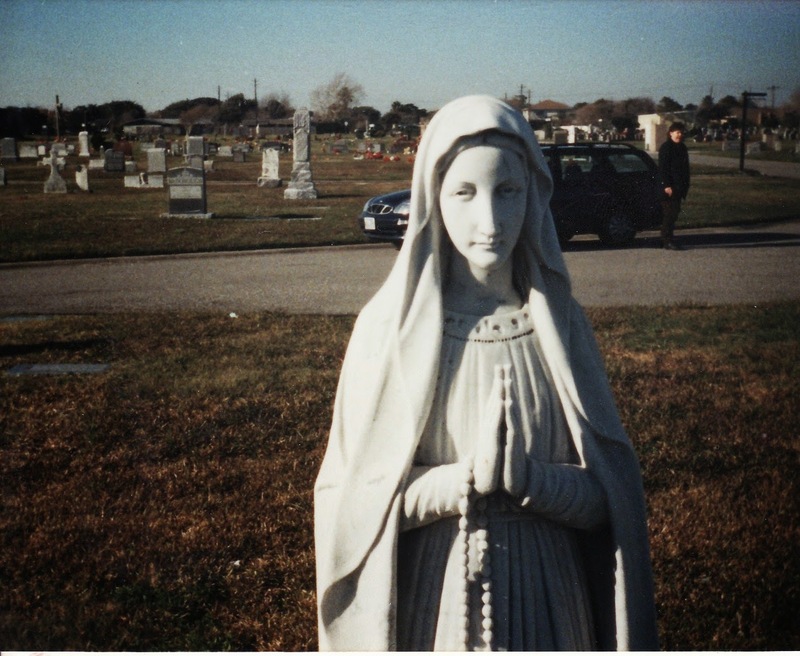 It was a Catholic Cemetery, many graves came with large replicas of the Virgin Mary. t This was a newer cemetery, many of the graves were from the mid-century or later. 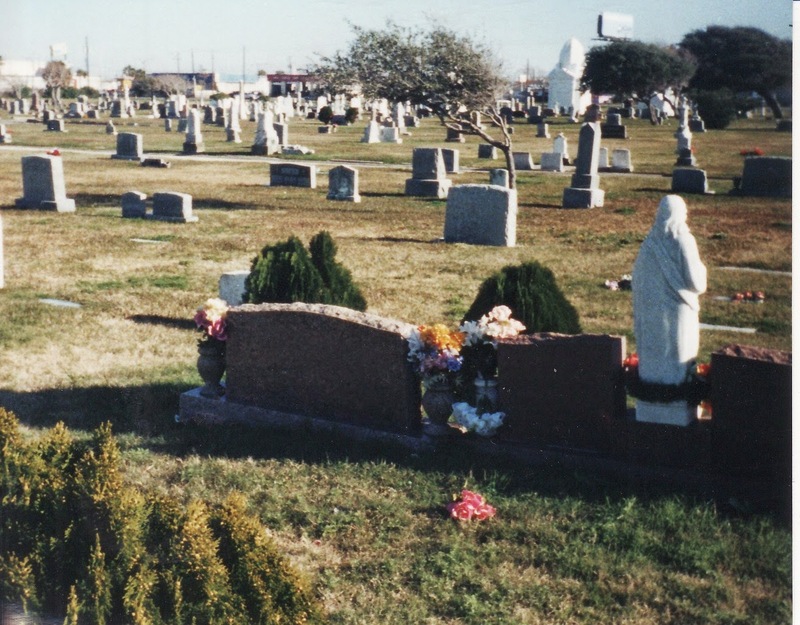 One might think that with Galveston’s devastating past, the island would be full of Victorian cemeteries housing the hurricane victims, but that is not the case. 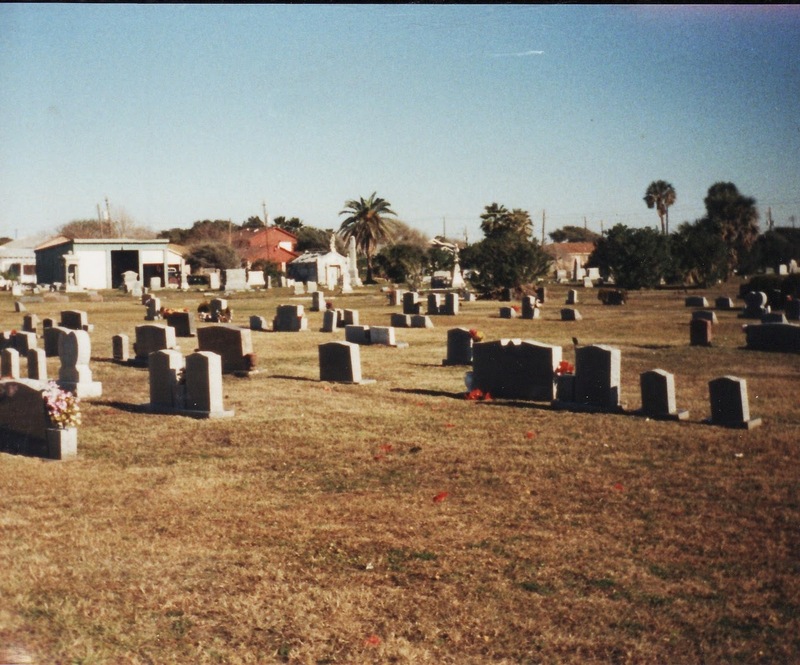 So many people died in the hurricane of 1900 that they could not bury all of them in the land, so they through their bodies into the sea. But soon the bodies washed back up on the shores, so pyres were erected and bodies were burned in massive heaps on the beach for weeks following the disaster. Nowadays, little of that horror can be seen or felt on the island. When I visited as a child the shores are lined with piers and tourist shops selling seashell bracelets and hermit crabs. 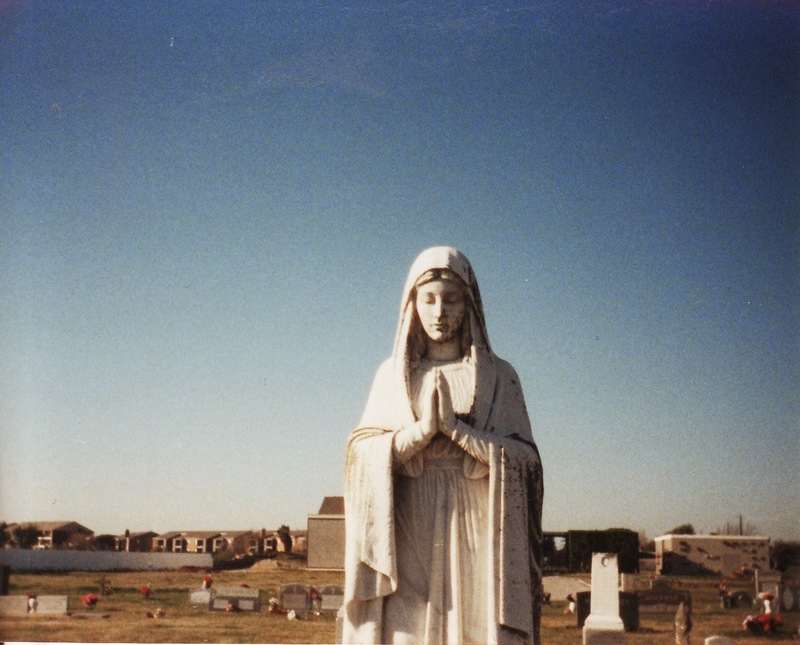 I skipped much of this and spent my days in the cemetery, whenever I could convince my parents to drive me there. 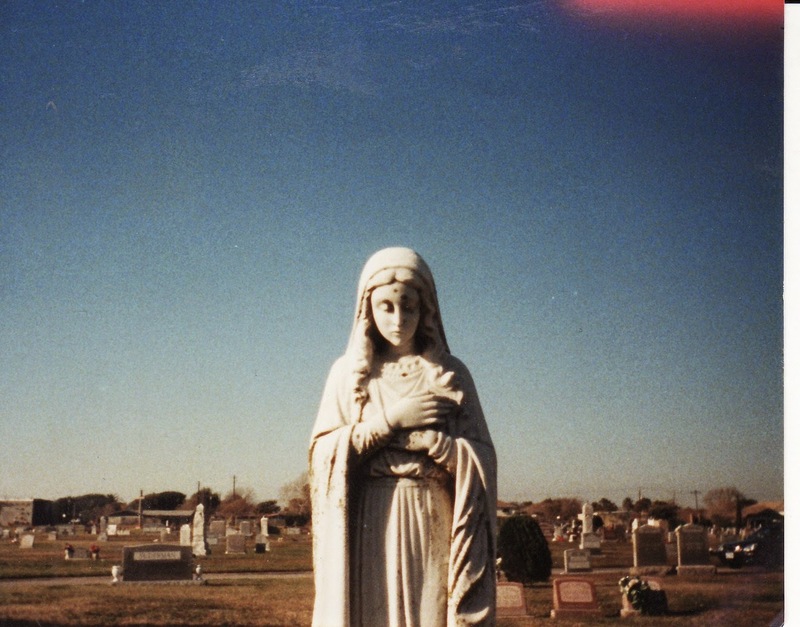 I became captivated by the Virgin Mary’s face. Every statue had a different face, a different expression. 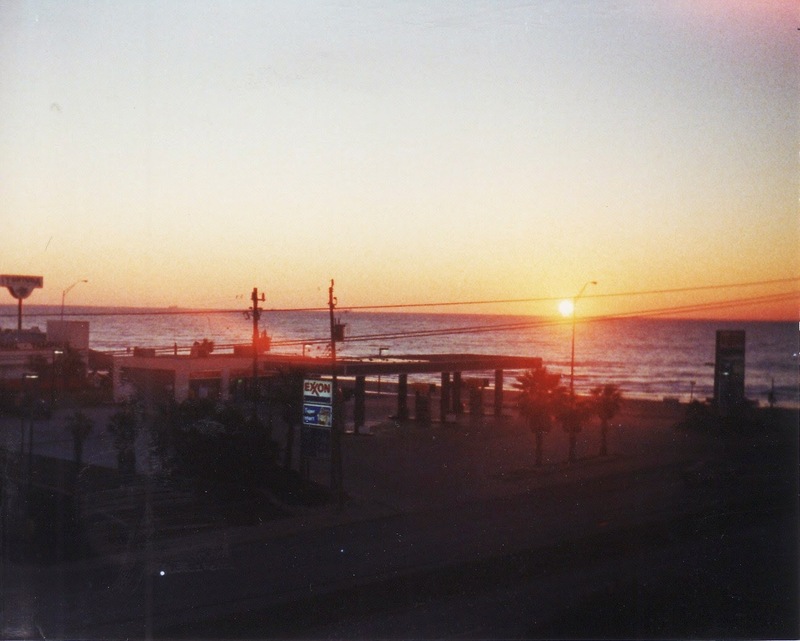 I wanted to document them all in the cheap disposable camera my parents bought me. 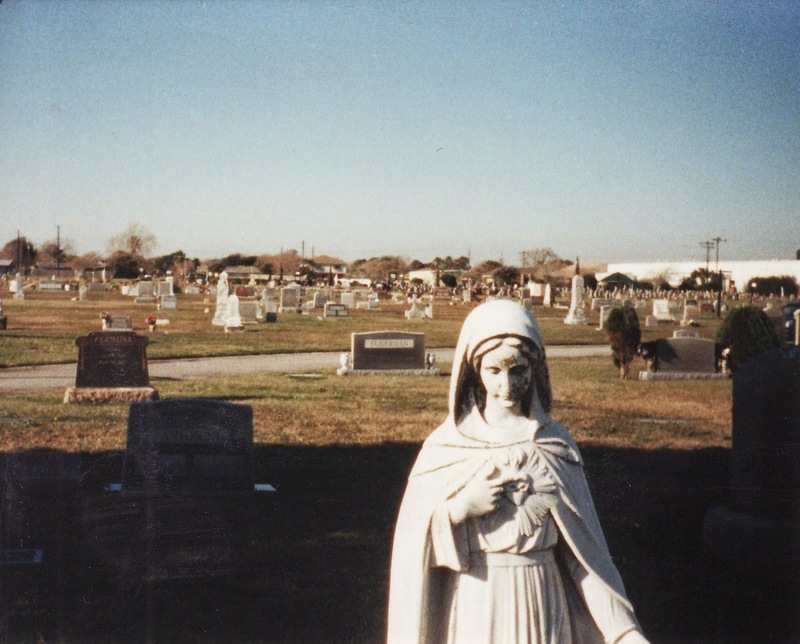 This was the start of my fascination for all kinds of cemeteries, for all kinds of graves and tombstones. It has never been a morbid curiosity, as much a study of anthropology. 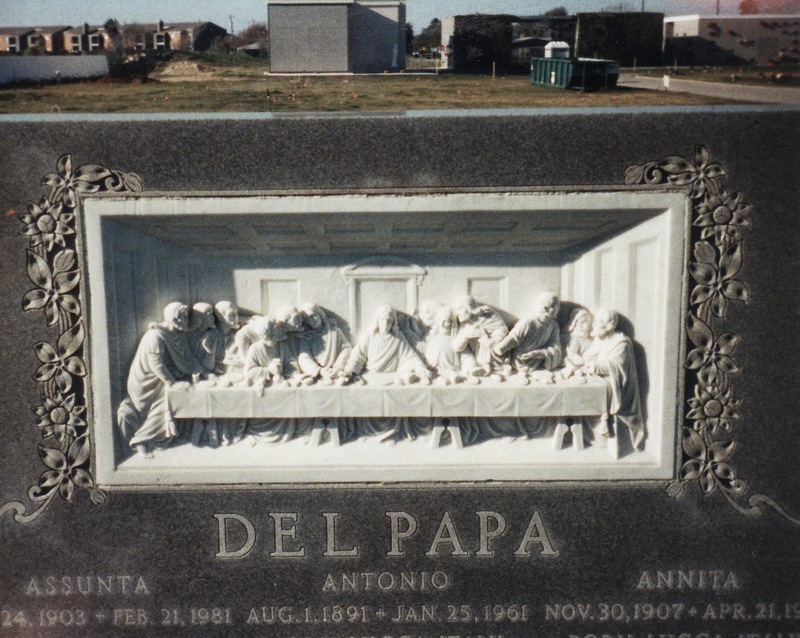 I became interested not just in the physical monument of person, but of the layout of cemeteries, their positions in relation to the places living people dwell, and the rituals that follow death. Each is uniquely telling of a society’s culture.